June 29, 2000. CBS "48 Hours" claims that tonight it "puts the paranormal world to the test." Instead what CBS actually does doesn't even qualify as "soft" news. They do a paranormal promotional piece, without much serious investigation of anything. The show features a psychiatrist who swears by past life regression therapy and the show does nothing to dispel his delusion. (Brian Weiss is one of many weird therapists treated in Crazy Therapies, reviewed here.) Another segment features an up-and-coming James Van Praagh type named George Anderson who can hear the dead talking to him. He doesn't perform very well, however, but he doesn't give up his claim to paranormal powers. A third segment features Russell Targ and Joe McMoneagle on remote viewing. No skepticism here; just a promo for these quacks. Another segment supported the notion of ghosts and haunted houses. The final segment dealt with psychics who help cops. At least here Joe Nickell was brought in to cast doubt upon alleged psychic Annette Martin. However the segment ends with Martin saying that as a result of the original 48 Hours broadcast in August 1999, another dozen police departments called for her help. Whether she was lying or not was not investigated by CBS. June 22, 2000. CNN.com promotes the wonders of dowsing in an unsigned article from the Associated Press. The article is mostly a gullible presentation of the views of three dowsers, Tommy Hanson, LeRoy Bull, and Craig Elliot. Hanson seems a bit confused since he admits he doesn't know how dowsing works and yet he says: "People are negative about what they don't understand." Yes, and sometimes people are positive about what they don't understand. Bull is a law unto himself. He says about 496 out of 500 people can get at least a little dowsing reaction. His attitude makes it sound unlikely that he keeps records. He scoffs at the idea of scientific study. Elliot says dowsing works as long as you don't have "monkey thoughts." Bull not only dowses for water, he uses a pendulum to tell him such things as whether vegetable are fresh. Clockwise means yes. Counterclockwise, means no. "We've been standing around with our hands on our hips waiting for the scientific community to come bumbling along," according to Bull, who gets the last word in the article: "For those who don't believe, no amount of evidence is enough. And for those who do believe, no evidence is necessary." To be fair, the author gives one line to James Randi, who is described as "a prominent debunker of claims of paranormal phenomena." Robert Park is described more neutrally as a physics professor and is given several lines to offer some skeptical comments. June 21, 2000. WebMD.com's Denise Mann gives some lip service to skeptics and uses cautious language, but overall her article slants in favor of therapeutic touch. "Non-Contact 'Therapeutic Touch' May Indeed Have the Right Touch Forms of Healing Based on Energy Fields, Spiritual Methods Reviewed" is the title of her article. She seems to think highly of John Astin's study (see below, June 5). She notes that skeptics disagree with the claims of TT, but presents her material as if both proponents and opponents had equal evidence on their sides. June 7, 2000. Excite.News promotes Joshua Shapiro's claim that "Crystal Skulls are among of the most mysterious artifacts that have been discovered on our Earth." Crystal skulls are mysterious only if you don't know anything about them. June 5, 2000. 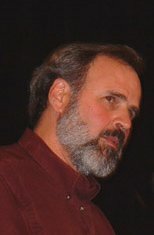 According to the University of Maryland, John A. Astin, Ph.D., assistant professor in the School of Medicine's Complementary Medicine Program, analyzed 23 clinical studies involving prayer, therapeutic touch, and some other "unconventional forms of spiritual intervention" and found that 57 percent of the studies showed a positive impact on the patients. "Statistically speaking, the figure of 57 percent is highly significant," says Astin. "This is far more than one would expect to see by chance alone." Astin claims that the studies "were chosen for the scientific quality of the research." The University's press release does not mention how scientific quality was measured, but he does mention "one study of nearly 1,000 heart patients...who were being prayed for without their knowledge [and who] suffered 10 percent fewer complications. That study was published last year in the Archives of Internal Medicine." That study has been reviewed here and if it is an example of what Dr. Astin thinks is quality science, then we can take his conclusions with a grain of salt. He might consider looking for an explanation of the statistically significant positive results in the desires of the researchers rather than in the effectiveness of the unconventional interventions. Or, perhaps he is too generous in his designation "showed positive impact on the patients." For example, he notes that "of the 11 studies involving therapeutic touch, seven showed at least one positive treatment effect." At least one positive treatment effect? Dr. Astin's assessment sounds more like charity than science. The University of Maryland prides itself on being one of nine research centers in the U.S.A. to receive the "prestigious NIH designation as a Specialized Center for Complementary and Alternative Medicine." June 2, 2000. CNN.com reports on how a veteran journalist used feng shui to get a job as book editor at USA Today. Carol Memmott thinks she got the job because she moved her trash can from the "wealth corner" of her office, painted the room yellow (to inspire "creativity and good feelings") and put in "a bubbling water fountain to make the chi (energy) move through the room." One hopes she is not the science book editor of USA Today. If so, she might want to read up on the post hoc fallacy and why controlled studies are done to overcome the human tendency to self-deception. The article doesn't mention which of the 250 feng shui titles listed on Amazon.com Memmott used, but it does mention two authors, one of whom has appeared on the Oprah Winfrey show. No surprise there. The other, Nancilee Wydra, is the author of Feng Shui Goes to the Office. Wydra says she practices pyramid school feng shui, an interesting creation in that it claims that its principles work differently on different people. This unique feature, of course, makes it impossible to test. Nevertheless, Wydra claims that "feng shui can help cure the ills that the high-tech culture places on workers." What these ills might be is not mentioned in the article, but I'm sure they are formidable and have to do with bad energy flow. The author of the article is Patty Rhule of WomenConnect.com. She concludes with a hee-haw anecdote about an acupuncturist who got advice from Nancy Tartt, who practices "black hat and compass feng shui." On Tartt's advice, Beatty painted the steps to her office black and the entryway white. She then did a cleansing ritual that included burning dried sage to help "shift the energy." Did it "work"? Of course. After the changes, Beatty claims that she felt like she had more energy at work and she didn't "feel so resentful going to work" where she has to share space with another acupuncturist and a massage therapist. "I felt happier," said Beatty, "and I feel like the quality of my work improved." That's what it's all about, isn't it? If the customer is satisfied, the pseudoscience is validated. For a more scientific view of feng shui read Dave Barry's column on how to build a deck. no one has been able to get to the bottom of how the three-dimensional, heat-resistant and apparently indelible image of a man with long hair and wounds consistent with Gospel descriptions came to be imprinted on the ancient linen cloth. It was done with paint. The sheet also bears traces of ancient male type AB blood, which some scientists say is consistent with traumatic injuries. Not true. No blood has been found on the shroud. The writer also calls the carbon dating of the shroud "controversial." It is controversial only because a number of faithful believers refuse to accept the work of three independent research teams. May 18, 2000. According to USAToday's A.S. Berman, Einstein said "Science without religion is lame....Religion without science is blind.'' Never mind that the sentiment does not sound like anything the mature Einstein would say. (Einstein's views on religion were closer to Spinoza's than to any orthodox religious thinker.) The quote is a hook to a story about Charles Tart and his unsubstantiated claim that scientists are afraid of being fired if they reveal they are religious or have had anything like a religious experience. To accommodate all those pitiable scientists who are cowering because of their fear of being exposed as morons or idiots, Tart has set up a web site where the scientists can pour out their sacred secrets. He calls it TASTE, The Archives of Scientists' Transcendent Experiences. May 14, 2000. UsaWeekend (May 12-14) features an article by Ann Japenga in its health section entitled "Does your doctor use intuition?" Jerome Groopman, M.D., is the author of Second Opinions: Stories of Intuition and Choice in the Changing World of Medicine. He says he's "a rationalist and a scientist" but finds that in many instances his best bet is to use his "gut sense." This reminds me of the cartoon about the doctor who is asked by his assistant what they should do now that the patient is dead. The doctor replies, "give him an enema." "But he's dead," says the assistant. "Right," says the doctor. "It can't hurt him." Japenga also notes that Judith Orloff, a "psychic" psychiatrist who claims she can diagnose intuitively and has several books to prove it, will be addressing the American Psychiatric Association's annual meeting this coming Wednesday. She's also an assistant professor at UCLA. Maybe the government ought to investigate how many deadly medical mistakes are due to intuitive medicine. Japenga contrasts intuitive medicine with evidence-based or outcomes-based medicine, which use tests and treatments established through research. This contrast, I suppose, is meant to give balance to her essay. She concludes with a quote from David Slawson, M.D., an associate professor at the University of Virginia: "A physician needs to be grounded in science but also must have the ability to improvise." So, if your doctor suddenly starts sucking on your leg and spitting nails into a dish, he or she may just be using intuition. Frankly, I'd feel better if my physician consulted a computer rather than his or her intuition. What's wrong with using intuition to make medical diagnoses? What's wrong with it is that it is too easy to deceive ourselves into thinking we have some sort of extraordinary ability to understand things when we don't. Intuitionists don't keep proper records. They have no real idea as to how often they are right or wrong. They rely on memory to verify their power. It is easy to remember when one is right, but it is even easier to forget when one is wrong. Also, with no specified method or clearly testable claim to begin with, it is easy to massage the data to fit the intuition after the fact. When I think of professionals using intuition I think of the police and their blue sense. I think of the FBI and their intuitions about Cary Stayner. I think of deluded people who think they are psychic. I think of inmates taking over the asylum. May 13, 2000. The Vatican revealed today that in 1917 it was revealed to three children at Fatima that in 1987 an assassination attempt would be made on the Pope. The prophetic vision was of a “bishop clothed in white” who “falls to the ground, apparently dead, under a burst of gunfire.” With such a clear message, it is a wonder that it took the Vatican more than eighty years to figure out the meaning, even though it has been 13 years since the Pope was shot by a Turkish tool of God. May 11, 2000. Fox outdid itself with "Powers of the Paranormal." The show was billed as real paranormalists and psychics performing before a live audience, but it was mostly parlor tricks and standard stage magic and mentalism. The show was too trashy to review. The host Jim Lampley, whom I remember as a fairly decent sideline commentator for college football games a few years ago, seems to have been put out to pasture. For a review, see Joe Nickell's comments on the CSICOP page. May 8, 2000. "The substance some Neapolitans believe is the dried blood of their patron, St Gennaro, liquefied on cue for a twice-yearly event the faithful believe is a miracle." So begins a Reuters' story published on Yahoo!.News. The powder mysteriously turns to liquid twice a year -- on the saint's feast day on September 19 and on the first Saturday in May. Italian scientists have confirmed that the substance inside the closed vial is blood but cannot explain why it liquefies regularly. To its credit, the article does note that historians have no record of this alleged blood relic before 1389, more than a thousand years after Gennaro's alleged death. I say alleged death because there is no record he even existed (Nickell, 79). Also, the Italian scientists who examined the vial of blood in 1902 and in recent years were not allowed to take a sample of the stuff to the lab. They were allowed to shine a light through the vial and on the basis of a spectroscopic analysis concluded the substance is blood (Nickell, 78). It is not true, however, to say that scientists can't explain why the stuff in the vial liquefies regularly. A professor of organic chemistry at the University of Pavia, Luigi Garlaschelli, and two colleagues from Milan offered thixotropy as an explanation. They made their own "blood" that liquefied and congealed, using chalk, hydrated iron chloride and salt water. Joe Nickell did the same with oil, wax and dragon's blood [a resinous dark-red plant product]. The article does mention that the Neapolitans are a superstitious people, but it does not mention that there are about 20 allegedly miraculous vials of various saints' blood and nearly all of them are in the Naples region, "indicative of some regional secret" (Nickell, 79). The article also suggests that their superstitions may be justified. The number Neapolitans associate with miracles--66--came up in the national lottery on May 6th. The article also notes that the Neapolitans believe that if the blood fails to liquefy, disaster is around the corner. Disaster has struck on at least five occasions after the blood failed to liquefy, including in 1527 when tens of thousands of people died from the plague and in 1980 when 3,000 people died after a earthquake that devastated southern Italy. What isn't mentioned is how many times disaster didn't happen after the blood failed to liquefy and how many times disaster did happen after the blood did liquefy. A bit of selective thinking seems to be going on here. The article also suggests that the 'miracle' is a con. It is noted that Cardinal Michele Giordano, who carried the vial in this year's May procession, is "under investigation on suspicion of complicity in loansharking, extortion and criminal association following the arrest of his brother in 1998." But the article doesn't mention that the ritual used to also be performed on December 16, "but the liquefaction occurred relatively rarely on those occasions--apparently due to the colder temperature--and those observances have been discontinued" (Nickell, 81). Most skeptics are convinced that whatever is in the vial is reacting to some natural phenomenon, such as temperature change or motion. Even some religious thinkers consider such 'miracles' frivolous and unworthy of God. May 5, 2000. Larry King's guests tonight were James Van Praagh, Char Margolis and Sylvia Browne. Larry was very excited about the movie "Frequency." Actually, none of them seem to care whether there is any difference between reality, a film, a delusion, or a fairy tale for a ship of fools. CNN.com has the complete transcript, if you can bear to read the dialogue of four imbeciles tripping over each other to say something trite about life and death. An hour with this crew and most people would probably wish they were dead. Larry should have called the show: Death Wish IV. The dialogue reminds me of a line in a Bob Dylan song ("Foot of Pride"): say one more stupid thing to me before the final nail is driven in. May 5, 2000. USAWeekend (May 5-7) featured an interview with James Van Praagh, whom they call a "medium-to-the-masses", though after reading the interview they might well call him the medium-of-the-asses. He actually claims that dead dogs talk to him and one of these dead dogs told him that he (the dead dog) was very upset that his owners gave his old food dish to the new dog they bought. How the interviewer, Jennifer Mendelsohn, could ignore commenting on such inane claptrap is incomprehensible to me. She followed up his dead dog tale with serious journalistic aplomb. She asked him: "Can anyone, with proper training, do what you do?" For the answer, see the Skeptic's Dictionary entry on cold reading.